04-06 Scion xB Exhaust System. Aftermarket Performance Exhaust for Scion xB. Choose from xB Axle-Back & Cat-Back Exhaust Systems by Apexi, Blitz, Borla, DC Sports, Magnaflow, Tanabe & More. Provides optimum sound & performance. 04-06 Scion xB Mid Pipe. 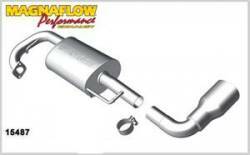 Aftermarket Mid Pipe with High Flow Catalytic Converter. Choose from Scion xB Mid Pipe by Magnaflow. 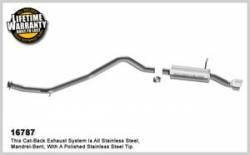 50-state legal Scion xB Midpipe with High Flow Catalytic Converter for improved performance and fuel economy. 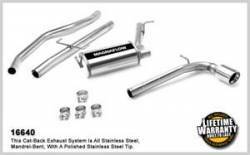 Description: Magnaflow Cat-back Exhaust System for the 04-06 Scion xB 15822. 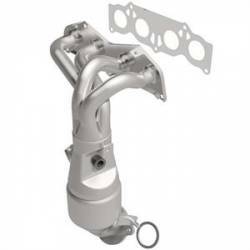 Magnaflow Scion xB Exhaust System is the only TRUE cat-back for the 04 05 06 Scion xB. 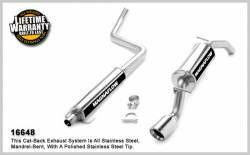 Magnaflow 15822 features 2.25 piping and 3.5 tips on your 2004 2005 2006 Scion xB. 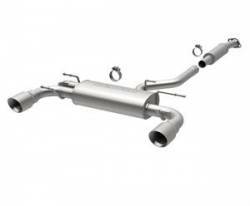 Description: Magnaflow Cat-Back Exhaust System for the 08-15 Scion xB (xB2) 16787. Add great tone with a cat-back system by Magnaflow for your Scion xB2. Magnaflow is a complete resonator-back system for awesome tone & maximum performance! !